American Planning Association Kentucky Chapter, Outstanding Use of Technology: NKYdroneLAB, 2018. ESRI Map Book participant, 2017. Kentucky Association of Mapping Professionals Map Gallery, Story map: 1st Place, 2017. ESRI Map Gallery, Small Format Map: 3rd place, 2017. ESRI Map Gallery, Story Map: 2nd place, 2017. 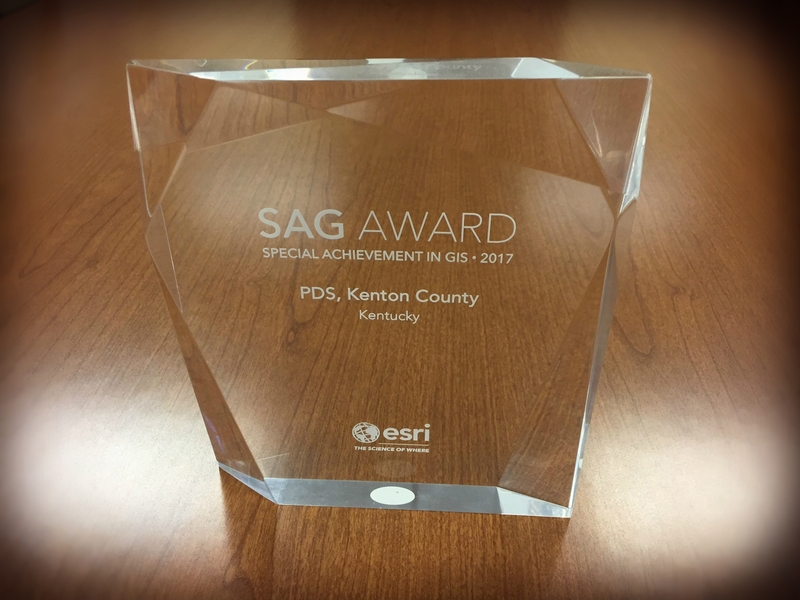 ESRI Special Achievements in GIS Award, 2017. ESRI Map Book participant (two maps published), 2016. Kentucky Association of Mapping Professionals Map Gallery, Best Map, 2016. Kentucky Association of Mapping Professionals Exemplary System, 2016. Kentucky Association of Mapping Professionals Servant Leadership Award, 2016. 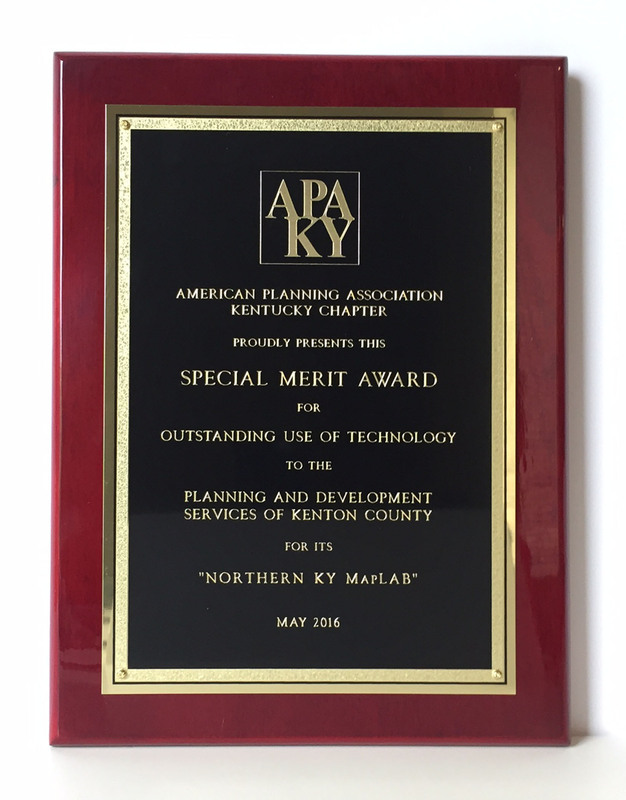 American Planning Association Kentucky Chapter, Outstanding Use of Technology: NKYmapLAB, 2016. 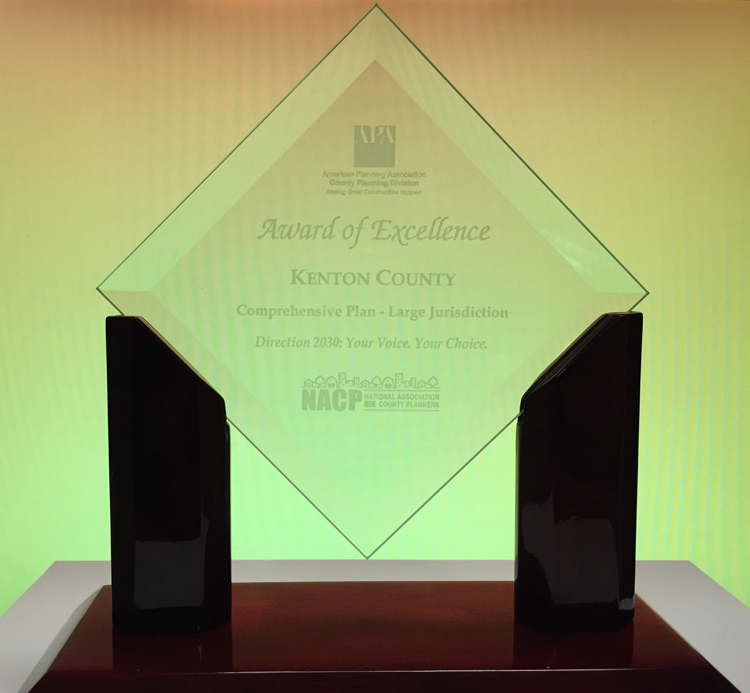 American Planning Association County Planning Division/National Association of County Planners, Award of Excellence for a Comprehensive Plan granted to PDS’ Planning & Zoning and GIS teams, 2015. ESRI Map Book participant, 2015. Kentucky Association of Mapping Professionals Map Gallery, Best Map, 2015. ESRI Map Gallery, Large Format Map: 3rd Place, 2015. 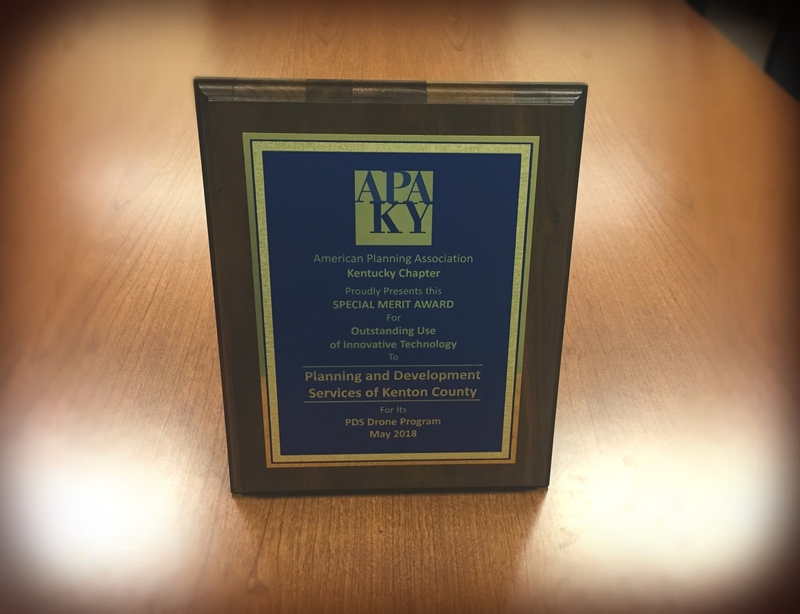 American Planning Association Kentucky Chapter, Special Merit Award for an Outstanding Comprehensive Plan granted to PDS’ Planning & Zoning and GIS teams, 2015. Kentucky Association of Mapping Professionals Service to the Mapping Community Award, 2011. Ohio-Kentucky-Indiana Regional Council of Governments In Motion Award, Leadership in the Regional GIS Community, 2005. 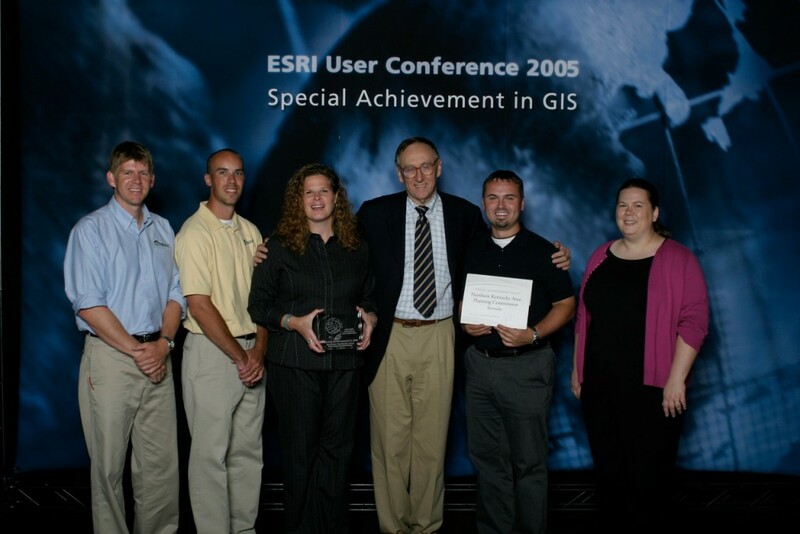 ESRI Special Achievements in GIS Award, 2005. Commonwealth of Kentucky Earth Day Award: Kenton County Brownfields Analysis, 2005. Urban and Regional Information Systems Association (URISA) Project Showcase, Best Map: Automated Identification of Sanitary Sewer Systems, 1995. ESRI Map Book participant, 1994. ESRI Map Book participant, 1993. ESRI Map Book participant, 1987.